The Niagara Tourism & Convention Corporation is inviting travelers to discover that there's "more than just the Falls" in Niagara USA. Visitors can discover 10 significant reasons why tourism to Niagara USA is on the rise. For travelers planning vacations or even weekend getaways, there are a multitude of new attractions to experience and enjoy. In Niagara USA, there's more to experience than just the Falls, according to the Niagara Tourism & Convention Corporation (http://www.niagara-usa.com). The NTCC will be launching a major advertising campaign dedicated to promoting the region's benefits in time for Memorial Day Weekend. 1.Niagara USA is rich in history. The Niagara region was an essential base of operations during three wars, and visitors can tour the recently restored Old Fort Niagara and dozens of museums and historic sites to discover the region's history. 2.Niagara USA is for adventure lovers. Adventure lovers can dive beneath the turbulent waters of the Niagara River, take a Jet Boat tour through the Niagara Gorge, experience a helicopter ride over the Falls or experience the Falls from a hot-air balloon. 3. Niagara USA is for wine connoisseurs. 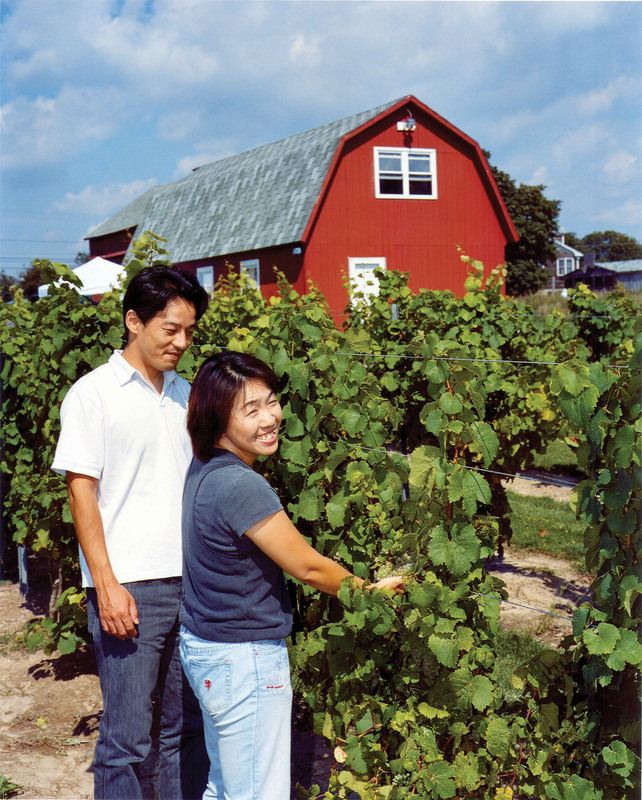 The region offers the renowned Niagara Wine Trail, with seven family-owned and operated wineries, offering distinct wines and culinary treats. 4. Niagara USA is a premier destination for outdoor travelers. Niagara USA is one of the premier bird-watching locations in the world, with dozens of parks, islands and scenic driving tours. Niagara USA is also one of North America's top sport-fishing destinations. 5. Niagara USA is a leading agritourism destination. Niagara USA is one of the few visitor-friendly working hubs of agriculture,nwith farm tours, petting zoos and more than 75 farms and nurseries. 6. Niagara USA defines luxury--and luck. Niagara USA has one of New York's finest luxury gaming establishments--the Seneca Niagara Casino and Hotel--with thousands of slot machines and table games, as well as luxuriously appointed hotel rooms and six restaurants. 7. Niagara USA is rediscovering its Underground Railroad roots. 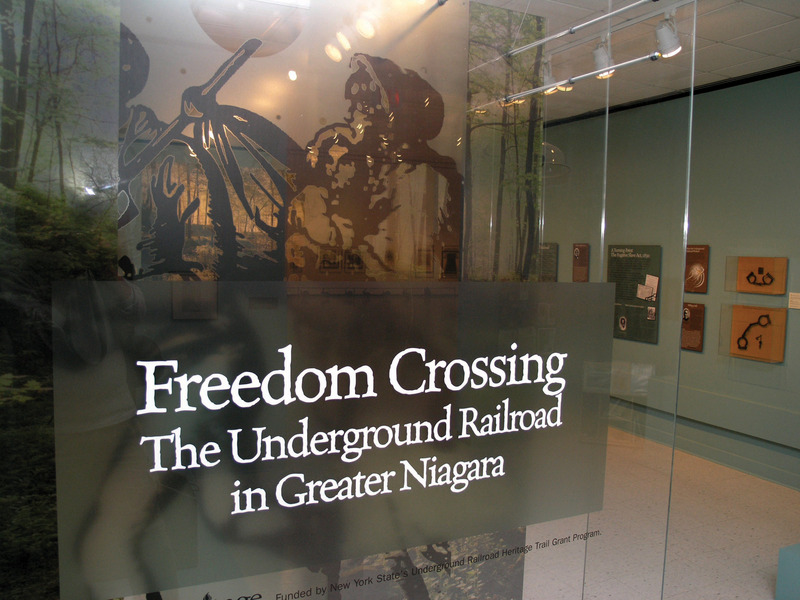 The Niagara region played a critical role during the Underground Railroad movement, and visitors can now explore Railroad sites throughout Niagara County. 8. Niagara USA has played a key role in empowering commerce and energy for the region--and visitors can explore both. The Niagara region was essential to the completion of the Erie Canal, and the locks at Lockport played a key role in its success. 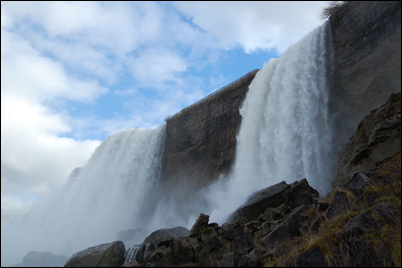 The millions of gallons that pour over Niagara Falls every day are harnessed to generate a quarter of New York's and Ontario's electricity. 9. Niagara USA is known for its quaint, historic small towns. Lewiston, Lockport, Olcott, Newfane and the Tonawandas offer dozens of unique antique and boutique stores and delectable dining opportunities. 10. Travelers are "falling for" Niagara USA. Niagara USA is experiencing a tourism renaissance, with millions of dollars of new investments planned for new hotels, attractions and a new visitor center. Visitors interested in more information should contact the Niagara Tourism & Convention Corporation at 1-877-FALLS-US or via the Internet at http://www.niagara-usa.com to request a free Visitor Guide or brochures about individual attractions. In Niagara USA, there's more to experience than just the Falls. In this "all American" destination, history, romance, family attractions, luxury and gaming combine to form the ideal vacation, group and meetings destination. The Niagara Tourism and Convention Corporation (NTCC) is Niagara County's official, state-authorized Tourism Promotion Agency. Agritourism in Niagara USAWith more than 75 working farms, Niagara County USA is a thriving hub for agritourism in Western New York. 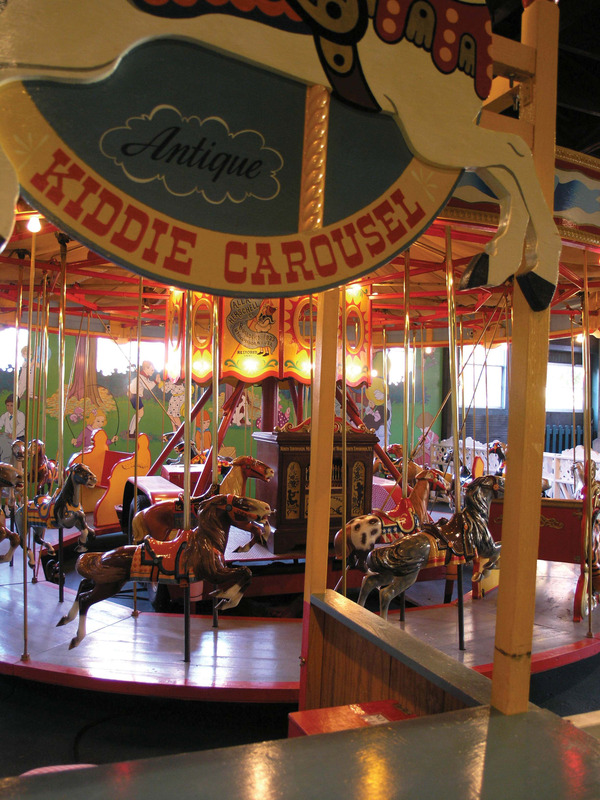 Carousel History in Niagara USA.Discover the history of the "merry-go-round" in Niagara USA, one of the sites for the development and creation of ornate, historic carousels. Underground Railroad HistoryDiscover the history of the Underground Railroad Movement at the Freedom Crossing exhibit at the Castellani Art museum. 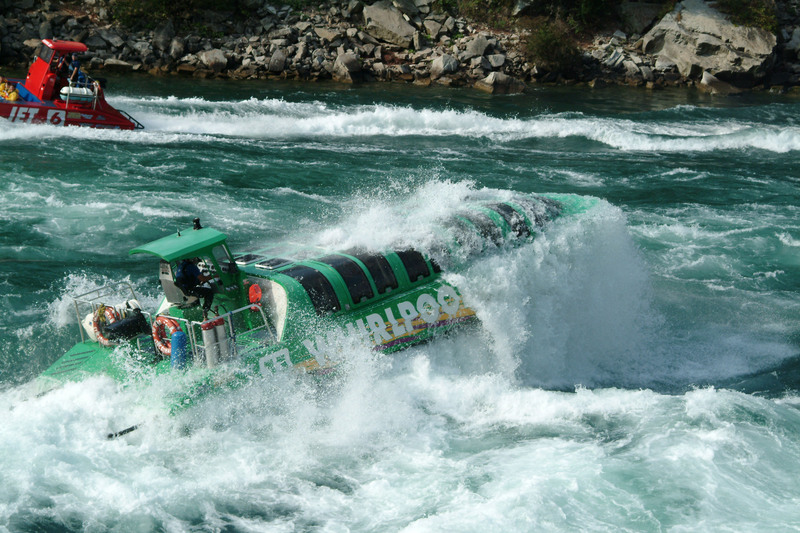 Whirlpool Jet BoatsGet "up close and personal" with the rapids on a Whirlpool Jet Boat in Niagara USA. The Niagara Wine TrailDiscover the delectable offerings from more than 5 family-owned wineries along the Niagara Wine Trail in Niagara USA.